Your bad weather travel companion. 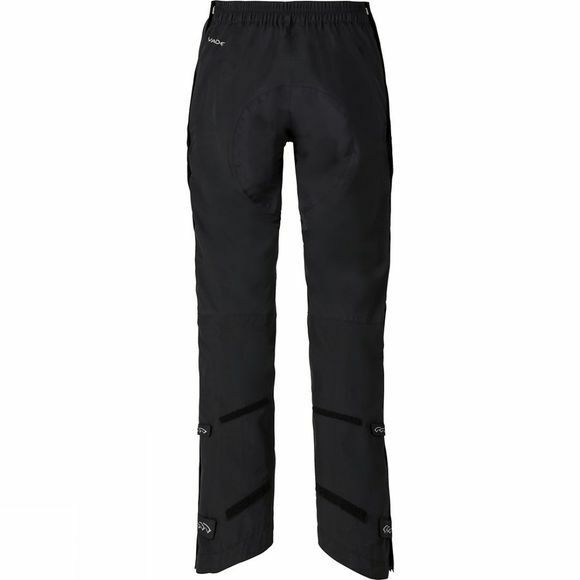 The lightweight 2.5-layer Womens Yaras Zipped Waterproof Cycling Pants II belong on any bike travel gear list. The full-length side zips ease the on and off. To keep you feeling and riding your best, special bike features include stretchy waistband with zip and button closure, a reinforced seat, adjustable legs and reflective elements. For the sake of the environment, the material is manufactured in accordance with the bluesign standard. Worn together with the Yaras Jacket, your rain outfit is complete. 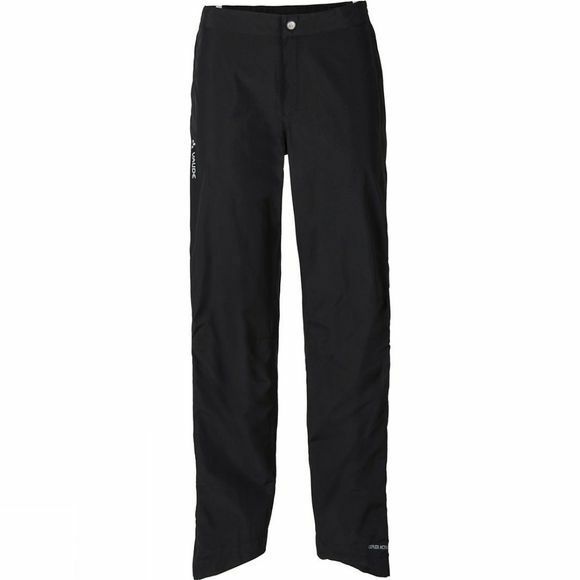 This product is made with Eco Finish, an eco-friendly water-repellent finish without fluorocarbons (PFC). Green Shape is your Vaude guarantee for eco-friendly products – made from sustainable materials with resource-conserving and fair production.